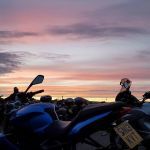 Designed as a traditional, laid-back camping rally, the BMF Dambuster Rally has become a very special annual motorcycling event. It’s complete with live music, fantastic food, a commemorative ale, a venue steeped in history and an excellent ride-out. A list of bands will be performing live music on the Friday and Saturday evenings. The rally’s bar will also be selling the ever-popular, specially commissioned Dambusters Black Dog ale once again. Thorpe Camp Visitors Centre, Lincolnshire is the ideal venue to celebrate the heroic deeds of the famous Dambusters raid in 1943. You can pitch your tents among the historic display planes and World War Two artefacts – and it is situated in deepest Lincolnshire ‘Bomber County’. All of the museum’s buildings will be open for you to explore, as will the NAAFI on Saturday afternoon. Clubs please call for options for group bookings. price: Pre-book: Adult £7.99. Child 10-15 £4.99. Under 10's free. Family Ticket (2 Adults + 2 Children Aged 10-15) £24. OTG: Adult £15. Child 10-15 £8.50. Under 10's free. Family Ticket £40. Public Early Bird Camping (pitch size 8m x 5m). £17.99 per Adult. £14.99 per Child. Under 10’s are free to camp (must be accompanied by an adult at all times). Show Vehicle Camping £10 per person. venue: South Cerney Airfield, Northmoor Lane, Cirencester, Gloucestershire, GL7 5RD. 10am - 5pm. price: Ticket prices remain frozen for the 10th consecutive year. Fri: Adult £7, junior £4. Sat or Sun: Adult: £10, junior £5. Weekender (Fri- Sun) Adult: £15, junior: £8. Family Weekender ticket (2 x adults, 2 x junior) for all three days: £35. Children under 5 years old go free. Biggest free 3 day Music & Bike Fest on the East Coast. Two stages with Bands & Bikes galore, by the seaside. A full weekend of fabulous entertainment for all the family. Everyone is invited to the weekend. Brought to you by committed group of members, friends and associates. Annual charity Rock Festival in memory of Ian Downton and raising funds for Midlands Air Ambulance Charity. Headliners are; Ian Downton Stage - 3Sixty (Fri); CODA-Led Zepp tribute (Sat); Creedence Clearwater Review (Sun). Tower Stage - Suicide Watch (Fri); Sam's Town - Killers tribute (Sat); Vincent Flatts (Sun). Plus over 40 more bands to be announced. Trade stands, a food village and bars. 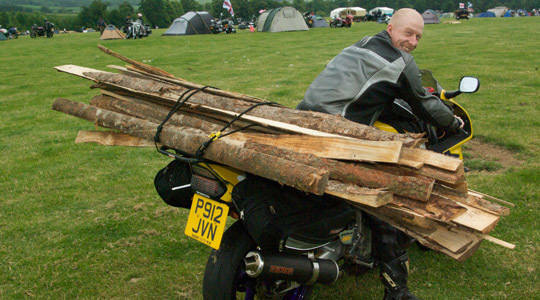 Now in its fifth year, LlanBikeFest keeps getting bigger and better. 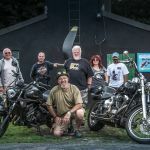 Run by enthusiasts to celebrate everything great about bikes! Family Friendly Festival in beautiful North Wales celebrating everything we love about Motorcycling - compere and host Steve Plater with Celebrity Guests. Steve Colley performing amazing Trials Stunts on One Wheel. 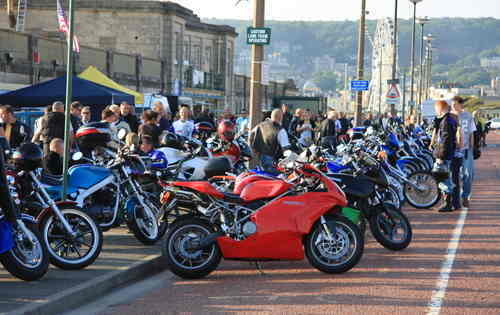 100's of Bikes on Display - Trophies awarded - Customs, Classics, Race, Vintage, Adventure Riders presentations/interviews. Bands playing all weekend (til 10pm on Saturday). Dealerships/Trade Stands. Entertainment for all the family. price: Pre-book: Day tickets £10 on line - concessions apply - weekend ticket option. OTG - On the Gate price: Day tickets £12 - concessions. Children under 16 Free (must be accompanied by paying adult). Bike Parking - free. Car Parking £5 (£2 redeemed when purchasing/presenting tickets). Camping and B&B's nearby. price: Pre-book: £25. OTG: £30. Under 16’s free if accompanied by an adult. Secure car parking: £2. Campers & Caravans: £10. Tickets available from Squires until 9th August. Bike - Field - Tent - Ale - Music. Live Bands Friday and Saturday nights. Rock DJ all weekend. Team Tug Of War. Good food on site. Bar Provided by Nook Brewhouse. price: Pre-book: £12:50. OTG: £15. Cars by prearrangement only. 250 limit. Paypal available. Silly games, raffle, bands both nights, disco, trad beers, good food, stalls, 24hr toilets, showers and more besides. price: Pre-book price and closing date: £15 by 2nd August. OTG: £18. Patch included with prebook tickets. Kids £2, Cars £10 proceeds to MAG (BB exempt). Live bands Friday and Saturday with alcohol served from the club. Variety of stalls including food etc more wanted. Raffles plus prizes and trophy's for best in category (bike, trike & club). venue: Vosa Rejects rally @ Walton sports and social club, Shay Lane, Wakefield, West Yorkshire, WF2 6LA. From Friday 10am - Sunday 12pm. 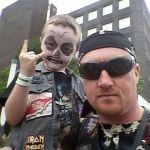 A great rally for all the family with great band's, dj, traders and of course the custom show. Follow on facebook for band updates and more info. Bigger and better than ever! price: Pre-book: £10 with first drink free, by 30th July. OTG: £15. Day tickets: £8. Children under 16 free (if coming with paying adults). Car parking £10 free for blue badge holders. Dogs welcome, on lead at all times. 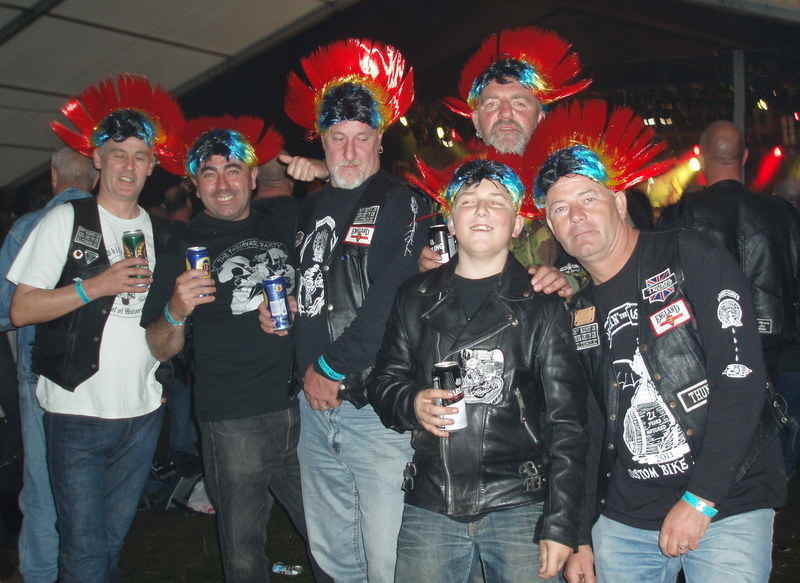 Bands, Bar, Burnouts and brilliant times to be had at the Redskin Rally. The 12th annual Redskin Rally is set to be a huge event, with trade stalls, professional Firework Show, Fire dancers, Tug 'o' War Charity Battle and so much more. price: Pre-book; £12.50. OTG: £15. Children under 16 £5. Car parking £5. Over 1000 classic vehicles and Motor Bikes will be represented, from the dawn of the motoring era, to pre-war, post-war, American, sports cars to custom cars and hot rods. venue: Tewkesbury School Playing Fields, Ashchurch Road, Tewkesbury, Glos, GL20 8DF. Gates open at 9.30am for display vehicles and 11am for general admission. price: General public admission tickets are available priced £5. OTG: £7.50. Children under 12 years old go free. Display Vehicles and Advance Tickets: Classic Cars, Bikes, other Vintage vehicles are priced at £5 per vehicle via online pre-booking (driver included), passengers also £5 (on the gate price £7.50). 400+ privately owned and club vehicles on display. Full concours overseen by ?, trade and autojumble stalls, children’s entertainment and quality food and drink options. price: Adult: £13. Senior: £11. Junior: £10/£8. price: Pre-book only: £26. Via the website or by cheque. Cars are by prior arrangement only, even blue badge holders. No Car pass = No car = No exemptions. Due to an amazing first year at the Winter Gardens in Blackpool, this years Great North West Motorbike Festival will be bigger and better than ever. Trade stalls, Manufacturers, heritage zone, Custom arena, live music and even a kids zone. Good food and drink all by the sea-side. price: £10 adults, £3 juniors (+ fees). Under 12 free. Trade/Retailer Exhibition Stalls, Motorcycle Trials Stunt Show, Live Music, Bouncy Castle Fun Run, Food & Drink (including alcohol), Show Bike Competitions with prizes to be won. venue: Lepton Highlanders Sports & Social Club,Wakefield Road, Lepton, Huddersfield, HD8 0LX. 10am - 5pm. price: Pre-Book: Adult £8, Child £4, Family (2x Adult, 2x Child) £20, Infants free. OTG: £10 Adult, £5 Child, Family (2x Adult, 2x Child) £25, Infants free. 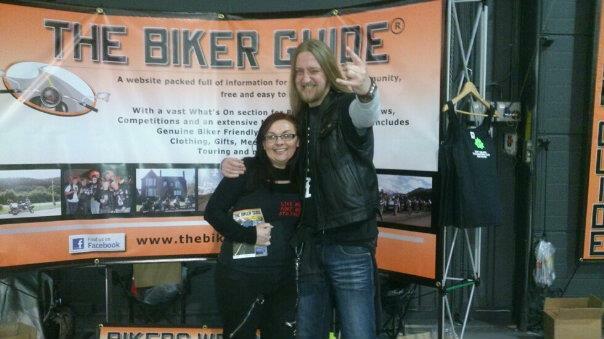 18th Annual Stockport Bike Show. 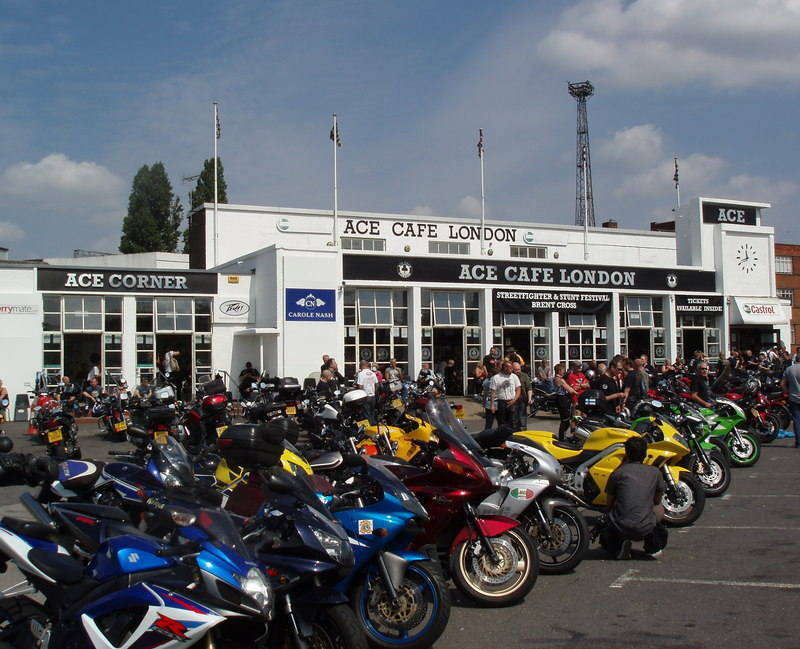 Bike show, live bands, Roughleys collectable and legendary clothing, trade stalls, face painting, bouncy castle, tombola, raffle and more… All welcome, including bikes, trikes and scooters. 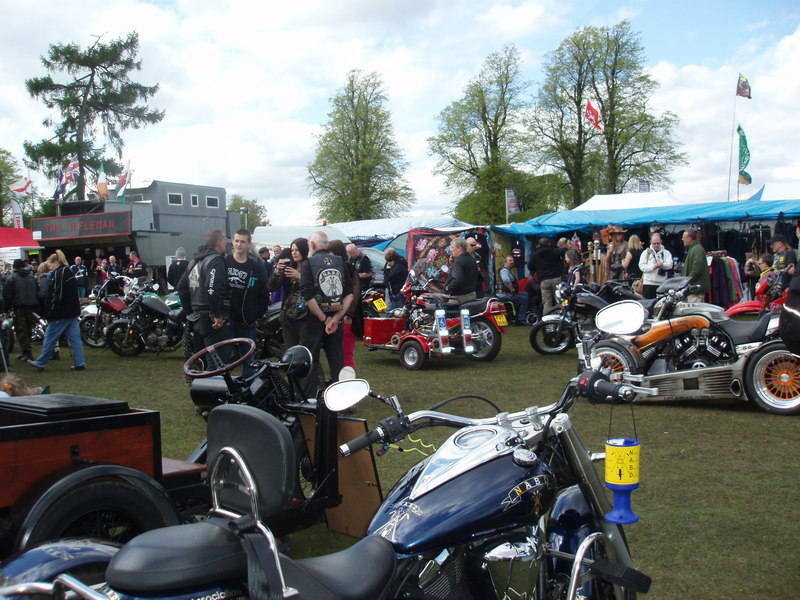 Bike show entrants to have their machines onto site by 11am, prize giving will be at 4pm by Andrew Roughley. Bands will be playing until late. 4th annual bike show, this year incorporating hot rod show, so covering all lovers of custom motorcycles and cars. 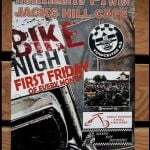 With live bands, bike and car show with trophies, dj, hog roast, stalls and a club priced bar. Limited camping is available on 1st come 1st served basis. The event is in its forth year. All bikes, trikes and scooters are welcome. A general ride-in kicks off the Event at 10:30am. There are Show Bike Competitions, a Rock Band Stage & Variety Stage, Trade Stalls, Food Stalls and Children's Rides. A raffle with a first prize of a restored/converted motorcycle. 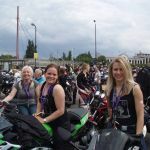 The three charities that will benefit from the money raised from this year's event, are: Yorkshire Air Ambulance, Prostate Cancer UK and Armed Forces Bikers. 500+ privately owned and club vehicles on display each day, electric vehicle zone including test drives. Full concours overseen by leading commentator Les Clayton, trade and autojumble stalls, children’s entertainment and quality food and drink options. The Notts Classic Event will be a stunning gathering of over 600 classic vehicles assembled at Thoresby Park. An array of motorcycles including BSA’s, Norton’s and Triumph’s of the British era to Honda and Kawasaki of the Japanese era. Classic cars will however take precedence with all the great names in British motoring represented including MG, Mini, Triumph and Jaguar etc. Full concours overseen by Mercedes Benz Club Coordinator Richard Lee, trade and autojumble stalls, children’s entertainment and quality food and drink options. Custom / Classic bike and car show. Live bands - The Jets 2pm and support Hullabaloo 11am. Stalls, trophies, food and bar, Autojumble swap meet. Gates open 10am. Bands booked to date: Tick Tick Boom, The Gypsies, Big Joe Bone, more TBA, DJ, Andy's rock shack, Saturday afternoon entertainment including bands, 24 hour loos and free camping. price: Pre-book: £15. OTG: £20. Cars £5, campervans etc £10. Blue badge holders free. This is a bike event - if you have a bike please use it. price: Pre-book: £30, by 29th August. OTG: £40 (only when arriving on a bike or trike). Saturday only tickets: £20. Children 5 - 15: £10. Car passes (includes one adult ticket): £70; Pre-book only and limited. ? Five bands, Disco, food and trade stalls, real ale, toilets and showers. price: Pre-book; £20. Strictly Pre Book - No OTG tickets.